At Penguin Cooling & Heating, we offer the finest HVAC repair in Pineville, NC, and the surrounding area. From full-scale replacements and system installations to minor repairs and filter swaps, Penguin Cooling & Heating has a technician on call who is ready to be dispatched to your doorstep. Backed by a 100% Customer Satisfaction Guarantee, we offer enhanced air quality at a low cost. Do You Need HVAC Repair in Pineville, NC? When it comes to HVAC repair in Pineville, NC there is no better one-stop shop than Penguin Cooling & Heating. At a low rate, we offer high-quality scheduled HVAC maintenance, repair sessions, or installation packages. Also, we pledge to always disclose the work we do to our customers, which means you will never end up with hidden fees or charges on your bill. At Penguin Cooling & Heating, there is nothing we take more seriously than our professionalism and integrity. We believe that Pineville and the Charlotte area is one of the country’s greatest small business hubs, so we reward our loyal customers and community with excellent service daily. 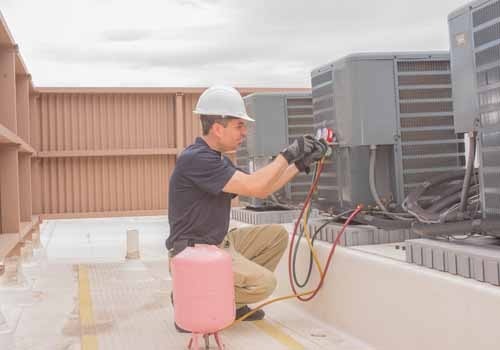 Our team offers several services related to HVAC repair, maintenance, problem diagnostics, cleaning and sanitization, performance optimization, and installation. Although we take case-specific calls to help you no matter your situation might call for, our three most common services are as follows. Installing an HVAC system is no cakewalk. That’s why, at Penguin Cooling & Heating, we like to do all the heavy lifting, so you do not have to. When you choose Penguin Cooling & Heating to set up your home’s HVAC system, you guarantee peace of mind, expedient service, and a clean indoor air environment at a low cost. 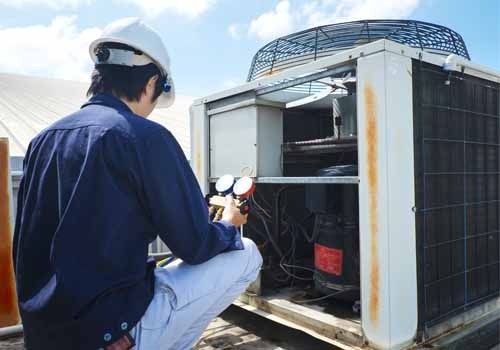 Penguin Cooling & Heatring’s technicians are generalists in HVAC repair and maintenance services. 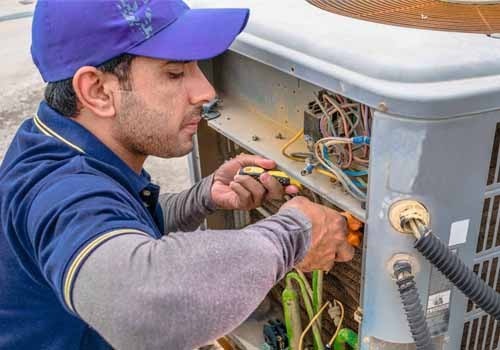 If your AC unit is beginning to show signs of age, or your heater is starting to go on the fritz and reducing its performance, do not hesitate to call us. Acting on performance issues early on can lead to major savings on your monthly utility bill and, in most cases, speed up repair service times. If you notice that any combination of the above is present in your household, reach out to our team at Penguin Cooling & Heating for a free, no-obligation quote. Our staff can diagnose the issue at hand and figure out the best solution to restore your indoor air quality to its fullest potential. With Penguin Cooling & Heating, our HVAC experts walk you through the repair process from end to end. Penguin Cooling & Heating HVAC technicians are among the best in the world. Plus, every crew member is heavily vetted, background checked and annually reviewed for re-certification status—all this to ensure that you have a safe and professional experience with Penguin Cooling & Heating. That’s why our HVAC repair services are quickly gaining a reputation for customer service excellence. Open 365 days a year, call our Pineville location today for a free quote for your next HVAC repair. Even if the circumstances are not urgent, you will be glad you made the call and scheduled an assessment before the issue got out of hand.